You know me. 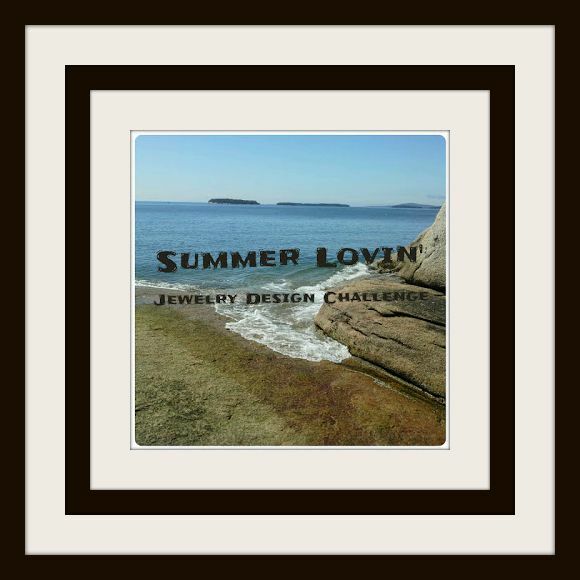 I can't resist a challenge especially when it is all about jewelry. So when Shawna of JBS Arts asked for designers to work with her ceramics, I raised my hand to volunteer. I might have jumped around a bit to so I could make sure I caught her attention. 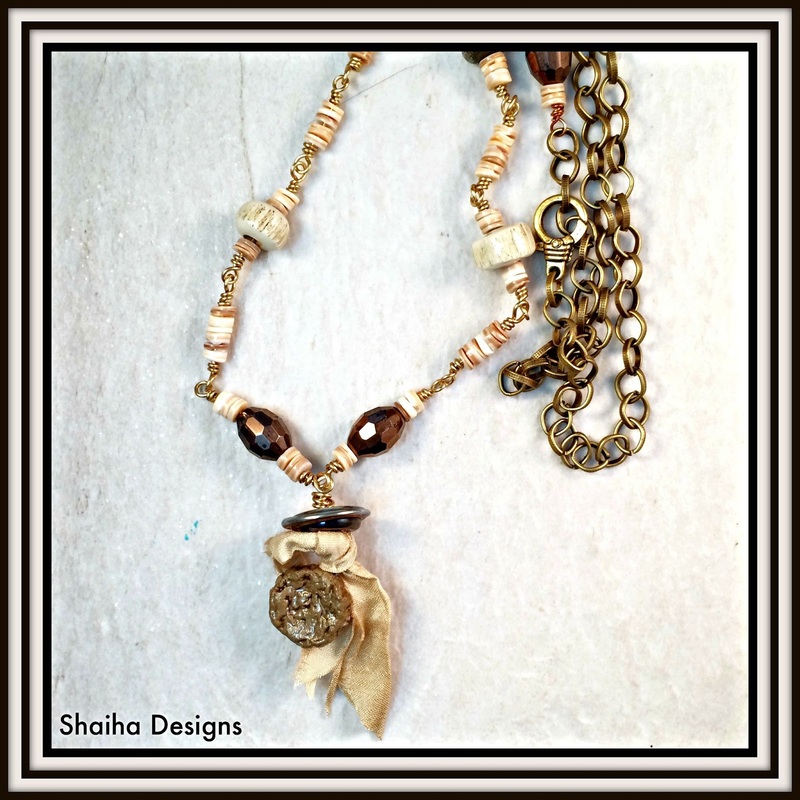 This is a longer necklace using Shawna's beads, some shell heishi, some vintage Czech glass along with some brass chain. 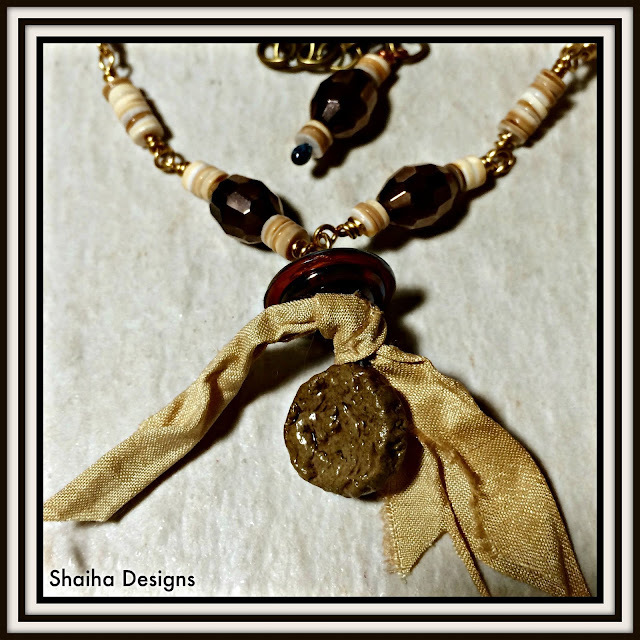 The sari silk I used as part of the focal is some that was also sent with the beads. I wanted to give everyone a closer look at this focal. It really reminds me of a seed pod in the middle of a flower. I made this necklace to be adjustable so it can be worn with a variety of necklines so it has a fun lobster clasp as well as a dangley. There were a few of us that signed up to create with the beautiful ceramics from JSB Arts and I am really looking to seeing what they were sent as well as the designs they came up with. So be sure to grab a cuppa tea and check them out. Thought I left a comment earlier... Ah well. :) I absolutely LOVE what you've done! I didn't realize just how much the smaller beads coordinate with the shells you used. Good to know! 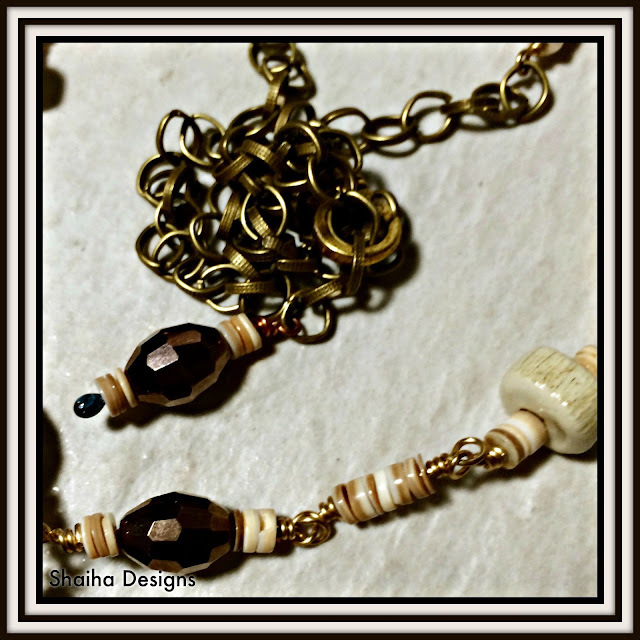 <3 Looking forward to hearing your thoughts and/or critiques on the beads themselves. Thanks again for participating!